In order to produce a filigree style engagement ring, it takes a lot more than adding twisted threads or bead work to a ring, it takes a special design and understanding of jewelry construction. Being a manufacturer of select styles sold in a catalog, we have had to engineer all of our rings to stand up to normal wear and tear, and not be weakened by the open work associated with filigree jewelry. 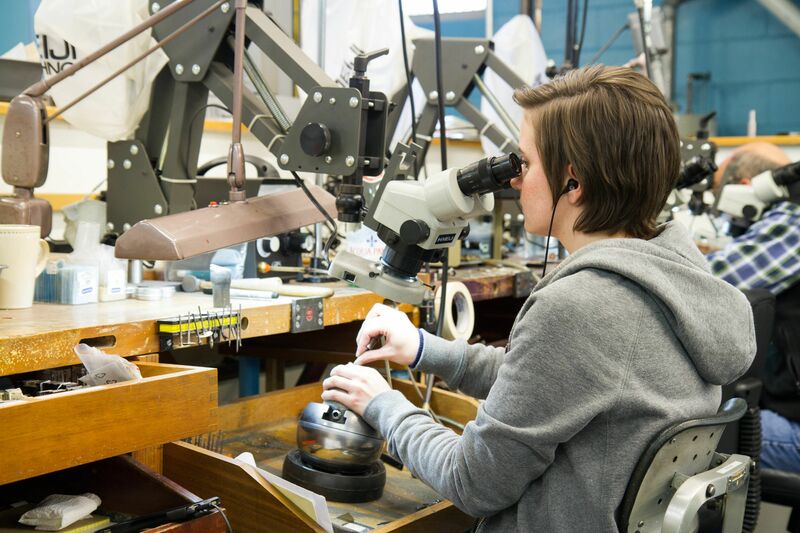 Because we manufacture our rings on a production based level, it is also important to have a process for assembly that is efficient and well thought out to keep pricing reasonable. Here are some characteristics of each Whitehouse Brothers filigree style to consider. Pictured above is a solid part before the piercing process. When a ring is pierced, a jeweler uses tiny drills to create pilot holes to insert a saw blade. The jeweler then uses a saw blade as thin as the width of a human hair to cut our designs and create open filigree work. 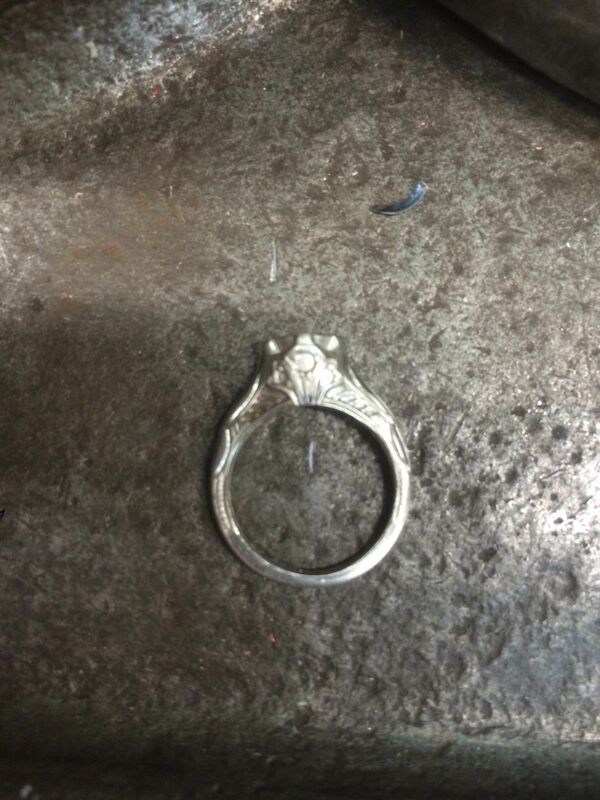 Once a ring has been pierced by the jeweler, the ring is ready for assembly and adornment. 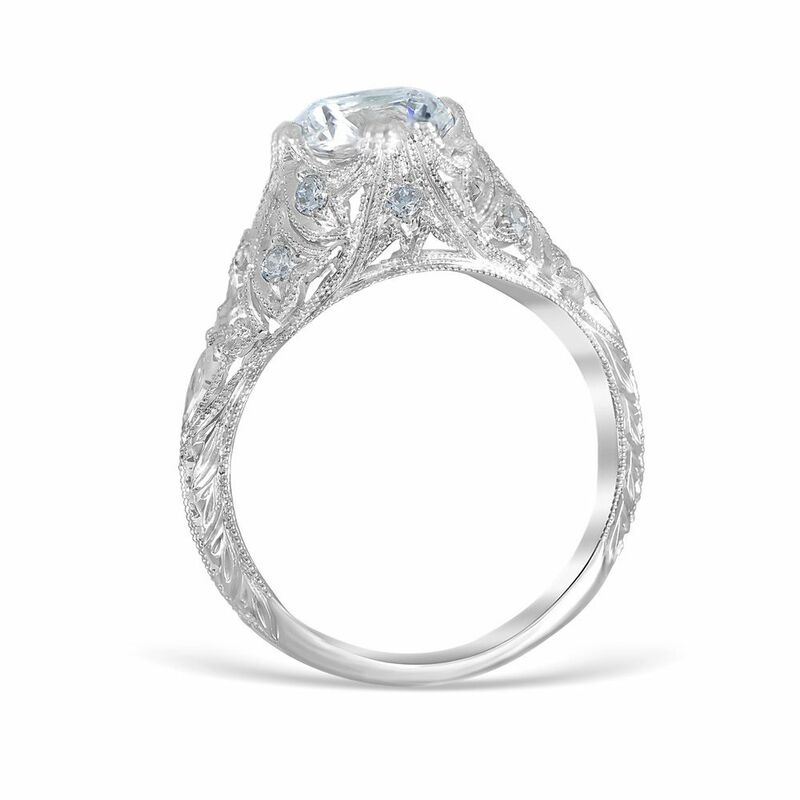 The final process, and what make a filigree ring special is the adornment process. Engravers use tiny tools called "gravers" to cut designs and milgrain work into the filigree to create a spectacular final product. It is the engraving which brings together the filigree work and creates a gorgeous final product to be enjoyed for years to come!